Dr. Eric Eich is a Professor in the Department of Psychology and Vice-Provost and Associate Vice-President Academic Affairs at the University of British Columbia. He received his doctorate in cognitive psychology from the University of Toronto in 1979, under the research supervision of Endel Tulving, Fergus Craik, and Robert Lockhart. Later that year he became Director of the Behavioral Studies Laboratory at the University of California, Irvine; in the early 1980s, he also developed close ties with the Departments of Psychology and Anesthesiology at UCLA. Eich moved to the University of British Columbia (UBC) in 1983, initially as an NSERC University Research Fellow and became Head of the Psychology Department in 2004. He served for six years as a member of the National Academy of Sciences’ Committee on Techniques for the Enhancement of Human Performance and for five years an associate editor of Cognition & Emotion. He was appointed to the Editorial Board of Psychological Science in 2007. Dr. Eich’s work is chiefly concerned with the interplay between cognitive and emotional processes. 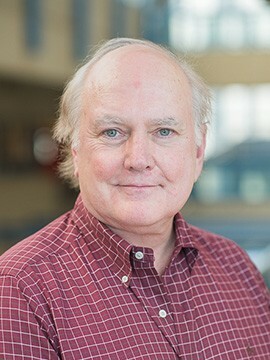 Some of his more specific research interests include: mood congruence and mood dependence in learning and remembering; memory impairments associated with bipolar affective illness; the cognitive correlates of dissociative identity disorder; and subjective, behavioral, and neural differences between field (first-person perspective) and observer (third-person perspective) memories. Eich, E., & Handy, T.C. (in preparation). The cognitive neuroscience of field and observer memories. Annals of the New York Academy of Science/The Year in Cognitive Neuroscience, 2012 (invited article). Eich, E., & Forgas, J.P. (in preparation). Mood, cognition, and memory revisited. In A.F. Healy & R.W. Proctor (Eds. ), Experimental Psychology. Volume 4 in I.B. Weiner (Editor-in-Chief), Handbook of psychology, 2nd Ed. New York: Wiley. Eich, E., Nelson, A.L., Leghari, M.A., & Handy, T.C. (2009). Neural systems mediating field and observer memories. Neuropsychologia, 47, 2239-2251. Eich, E., Geraerts, E., Schooler, J.W., & Forgas, J.P. (2008). Memory in and about affect. In H.L. Roediger, III (Ed. ), Cognitive psychology of memory. Vol. 2 of Learning and memory: A comprehensive reference, 4 volumes (J. Byrne, Editor), pp.240-257. Oxford: Elsevier. Jeffries, L.M., Smilek, D., Eich, E., & Enns, J.T. (2008). Emotional valence and arousal interact in the attentional blink. Psychological Science, 19, 290-295. Eich, E. (2008). Mood and memory at 26: Revisiting the idea of mood mediation in drug-dependent and place-dependent memory. In M.A. Gluck, J.R. Anderson, S.M. Kosslyn (Eds. ), Memory and mind: Festschrift for Gordon Bower (pp.247-260). New York: Lawrence Erlbaum Associates. Eich, E., Ng, J.T.W., Macaulay, D., Percy, A.D., & Grebneva, I. (2007). Combining music with thought to change mood. In J.A. Coan & J.B. Allen (Eds. ), The handbook of emotion elicitation and assessment (pp.124-136). New York: Oxford University Press. Eich, E. (2007). In H.L. Roediger, III, Y. Dudai, & S.M. Fitzpatrick (Eds), Science of Memory: Concepts (pp.107-110). New York: Oxford. Eich, E., & Macaulay, D. (2006). Cognitive and clinical perspectives on mood dependent memory (pp.105-121). In J.P. Forgas (Ed. ), Affect in social thinking and behavior. New York: Psychology Press. McIsaac, H., & Eich, E. (2004). Vantage point in traumatic memory. Psychological Science, 15, 248-253.